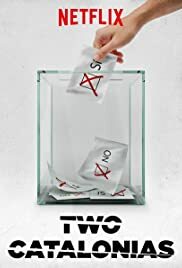 A documentary that tackles the ideological conflicts surrounding the December 21 election in the country, to the push for sovereignty and subsequent parliamentary declaration of independence and the aftermath. This is a well made and crafted documentary on the recent political upheaval in Catalonia. The makers strive at all times to be fair and impartial and largely succeed. The most interesting feature is the huge range of interviews, mostly conducted in Spanish/Catalan with good English substitles. They speak with the key players on all sides and include comments and observations from an even greater range of informed journalists and observers. The makers use these contributions to examine several factors underpinning the rise in support for independence over the past decade. 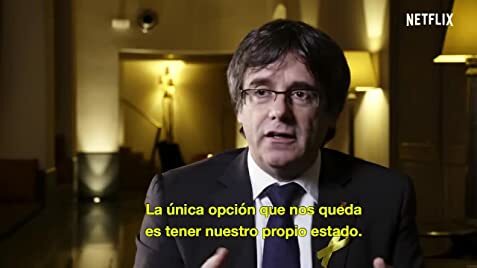 The chronological narrative of the documentary is a little confusing as they jump around the timeline a bit, starting with the most recent Catalonian election before jumping back, almost without notice, to the earlier contested referendum on Catalan independence (I was in Barcelona at that time). But you quickly readjust - in my case I did a quick rewind to make sure that I had not misinterpreted any of it. Good production, good archive material and well conducted interviews. On balance, a well produced and impartial presentation of the situation. Would strongly recommend.